Just wanted to share these photos. The first is my posse pausing to pose (see what I did there?) 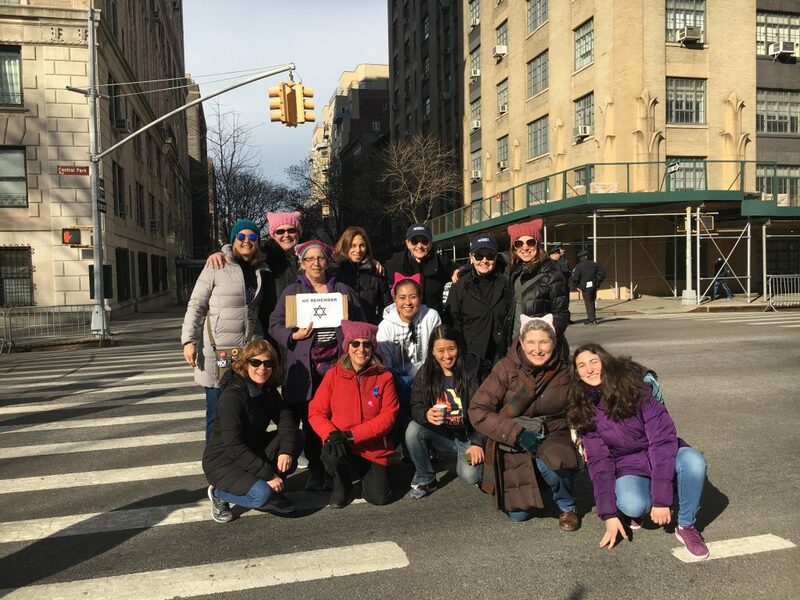 as we approached Central Park West, to MARCH! 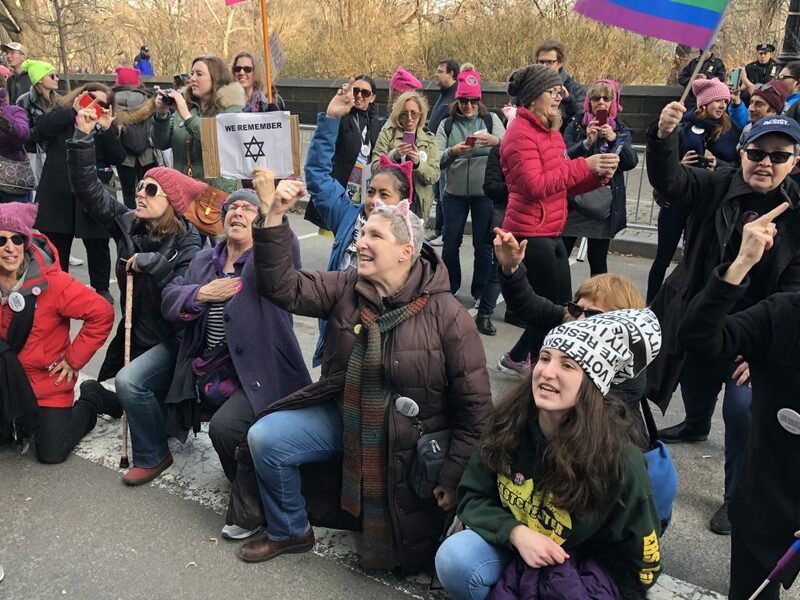 The second is a brief breather in our marching, where, at the instigation of my sister Debby (in the purple coat, with the “We Remember” sign) we took a knee at the Trump International Hotel (because she knew that would piss him off) and gave the joint the finger while yelling, “Take a knee for Democracy!” A bunch of other marchers joined us and a bunch took videos as they went by. For my next trick, when I go to the Knicks game in 2 weeks, I’m taking the goddamn knee again. And will take it at every sports event until — well, you know exactly until when!